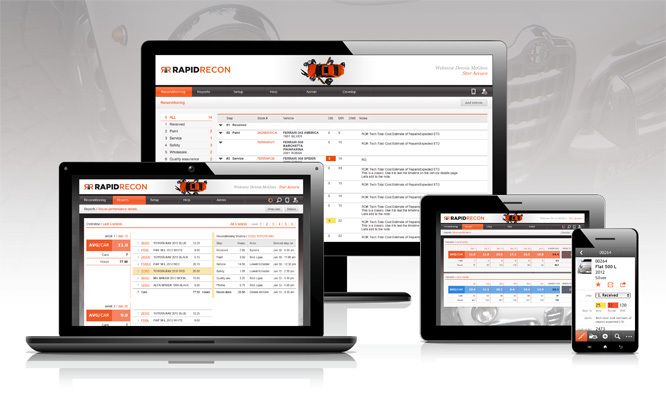 Rapid Recon needed a new UI for their online auto reconditioning workflow tool. 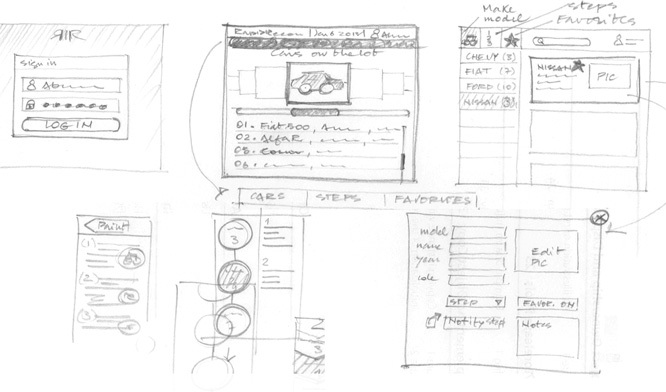 They needed an easy to use, attractive UI and they also wanted to add a lot of new features. They called on us to design and program it. For this project we were asked to take a "slow and steady" approach. In the fast-paced and high powered world of auto reconditioning we have been winning the race with a slow and steady approach to design and development. 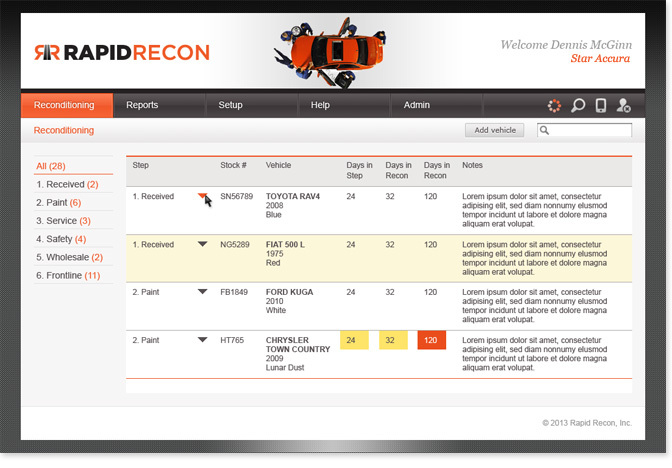 Month by month, for the last year, we have been steadily designing and releasing features and reworking the look and feel of the Rapid Recon UI. 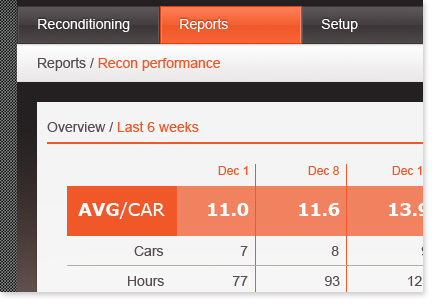 Sales have been steadily increasing and the application is getting more and more recognition as a major auto reconditioning workflow tool. We have proven that you can take an existing web application and steadily improve it into a truly best of breed application. 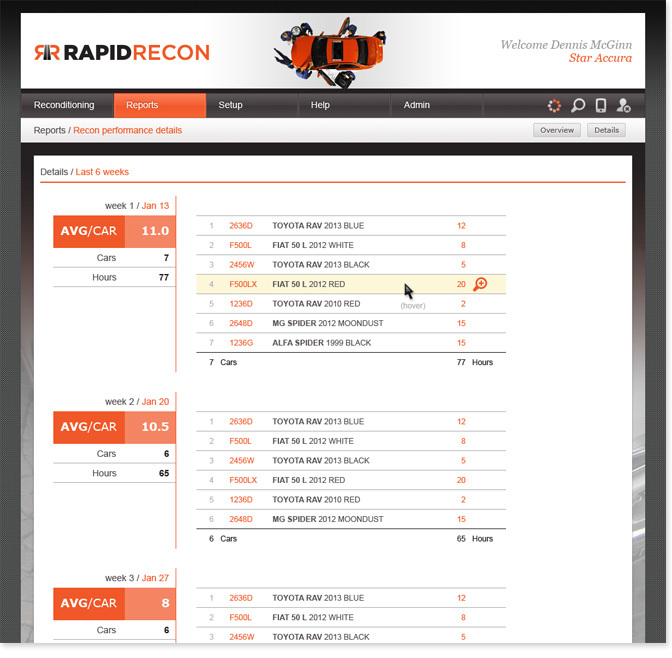 The Rapid Recon application runs on desktops, notebooks, tablets and smart phones. Workflow and reporting screens from the application. 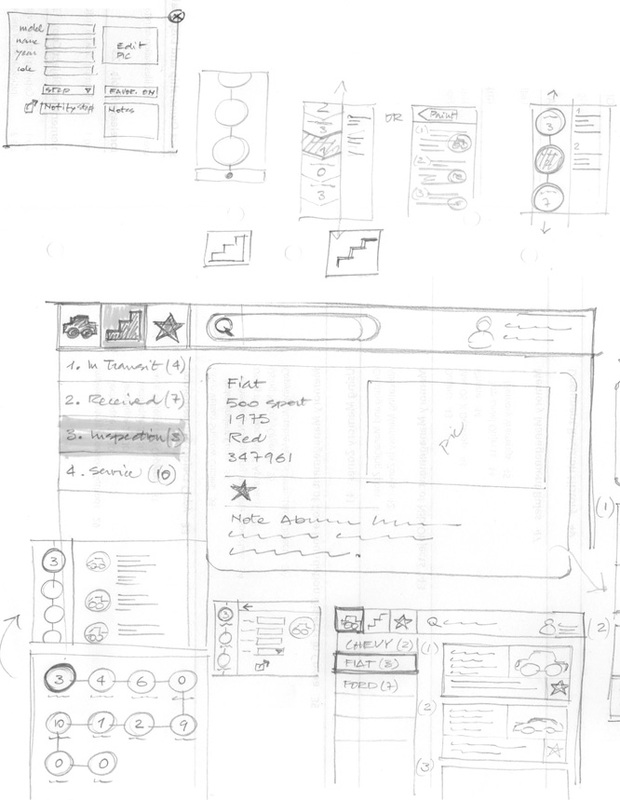 Screens from the smart phone application. 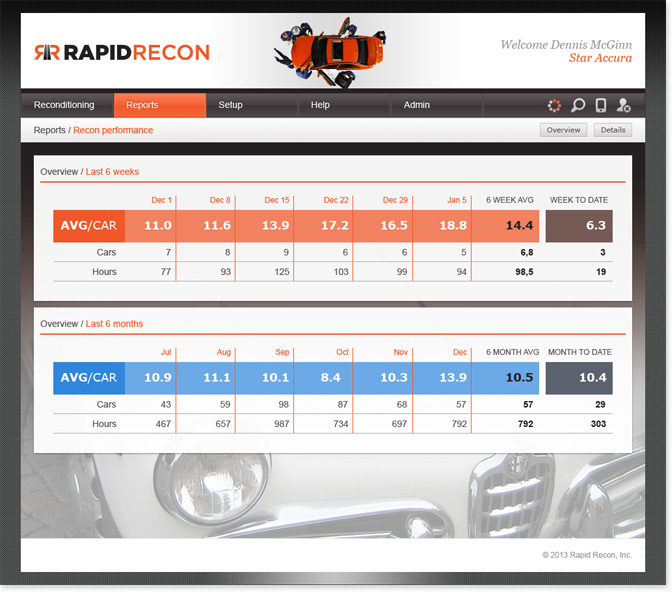 We continue to research, design, program and launch new features for the Rapid Recon application.